The person whose heart is hard will not be moved by reminders of death or by seeing deceased persons or funerals. He may even carry a dead person to his grave and throw earth into the grave, but when he walks between the graves it is as if he is merely walking between rocks. 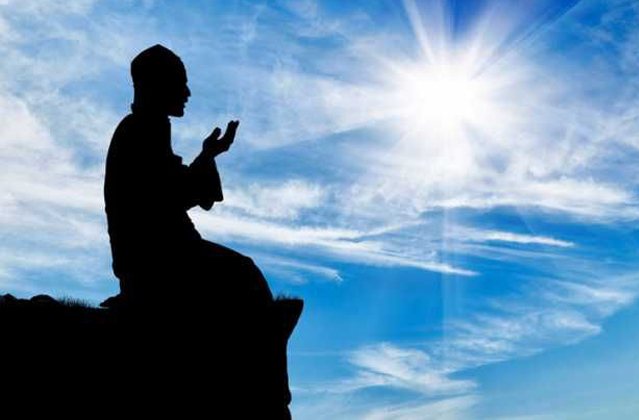 Another example of laziness in performing acts of worship is the neglect of sunnah actions which the Prophet (peace and blessings of Allah be upon him) performed regularly, and praying at night (qiyaam al-layl), setting out early to go to the mosque, and other naafil prayers, such as duhaa, never even occur to him, let alone the two-rak’ahs of tawbah (repentance) and istikhaarah. Not being moved by the aayaat of the Qur’an, by its promises of Paradise or its warnings of Hell, by its commands and prohibitions, or by its descriptions of the Day of Resurrection. The one who is weak in faith gets bored when he hears the Qur’an being recited, and cannot continue reading it. Whenever he opens the mus-haf, he soon closes it again. This approval, which is an action of the heart, makes him like one who witnessed the sin. If it were the case that a man wanted to carry out duties and responsibilities, where there is no one better for the job than him, with the intention of doing his best and being sincere and just, as Yusuf (peace be upon him) did, then we could say that this is fair enough. But in most cases it is the matter of a strong desire to lead and put oneself forward although there is a better person, denying the opportunity of leadership to those who are qualified and wanting to be the only one to issue instructions and prohibitions. No doubt this is a kind of hypocrisy, and the person whose deeds do not match his words is blameworthy before Allah and despicable in the eyes of his fellow man. The people of Hellfire will soon discover the reality of the one who enjoins good but does not do it, and forbids evil, but does it himself. Malicious enjoyment of the failures, losses or disasters suffered by one’s brothers in Islam, when the blessings that they had enjoyed are taken away, or when the thing that made another person appear more distinguished than him is gone.  I will certainly recognize people who will come on the Day of Resurrection bringing good deeds as great as the white mountain of Tuhaamah, and Allah ﷻ, may He be glorified, will make it like dust in the air. This indicates the bad effects which may impact upon and even destroy the bonds of brotherhood. This alienation which a man may feel between himself and his brother is a result of the lowering of faith caused by committing a sin, because Allah ﷻ causes him to lose his standing in the eyes of His slaves, and so he is in the miserable position of having no respect and misses out on the fellowship of the believers and the protection of Allah ﷻ, for Allah ﷻ protects those who believe. Not feeling any responsibility to work for Islam and spread this religion, which is unlike the attitude of the Companions of the Prophet ﷺ, who as soon as they entered this religion felt this responsibility straight away, for example, al-Tufayl ibn ‘Amr (may Allah be pleased with him), who became Muslim and went to call his people to Islam straight away. He was only a new Muslim but he felt that he had to go back and call his people to Islam, and he went and did this, yet nowadays many people wait for a long time after they become committed to Islam before they reach the stage of calling others to Allah ﷻ, may He be glorified. This declaration of opposition to the kuffaar, imposition of economic sanctions and offer of all resources at his disposal to serve the cause of da’wah all took place immediately, because strong faith demands action. Fear and panic when disaster strikes or problems arise. So you will see such a person shaking and losing his equilibrium, with no focus, staring wild-eyed and having no idea what to do when faced with calamity. He is ruled by his fears and can see no way out; he cannot face reality with a strong and steady heart. All of this is the result of weak faith, for if his faith was strong he would be steadfast and he would face the worst disasters with calmness and strength. He talks and thinks in a purely rational manner, devoid of the characteristics of faith. There is hardly any trace of a reference to the Qur’an and Sunnah, or the words of the salaf (the early generations of Islam – may Allah have mercy on them), in the way such a person speaks.